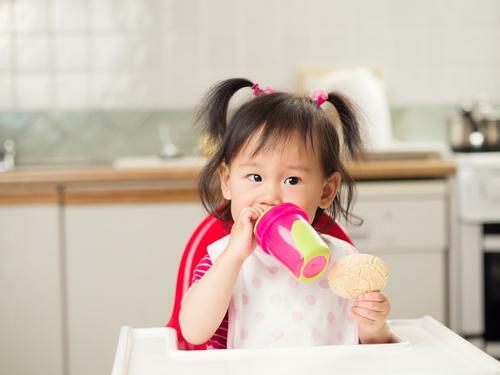 Toddler Portion Sizes: How Important Are They? 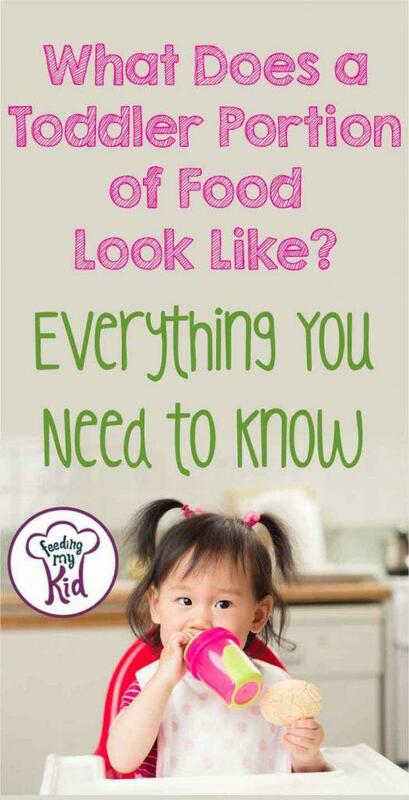 Knowing how much food your toddler needs is super important. Not only do you want your child to be full until his next meal, you want to make sure he’s getting all the nutrients his growing body needs. Toddler portion sizes can be measured out on a scale for accuracy by the ounce, grams, or by tablespoons. Each food group has its own measurement. For accuracy, these graphics give you the measurements by tablespoons. You’ll also see that veggies are counted. 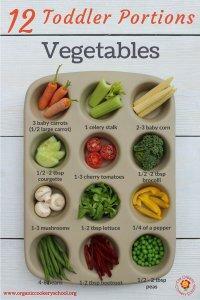 For more detailed info, visit Portion Sizes for children aged 1-4 years. 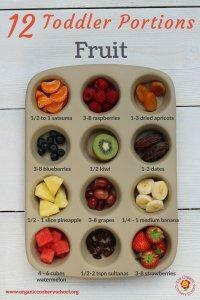 An easy way to measure toddler portion sizes without using a scale is to use cupcake/muffin trays. 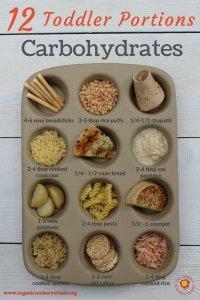 These graphics show you exactly how easy it is to use a muffin tray. 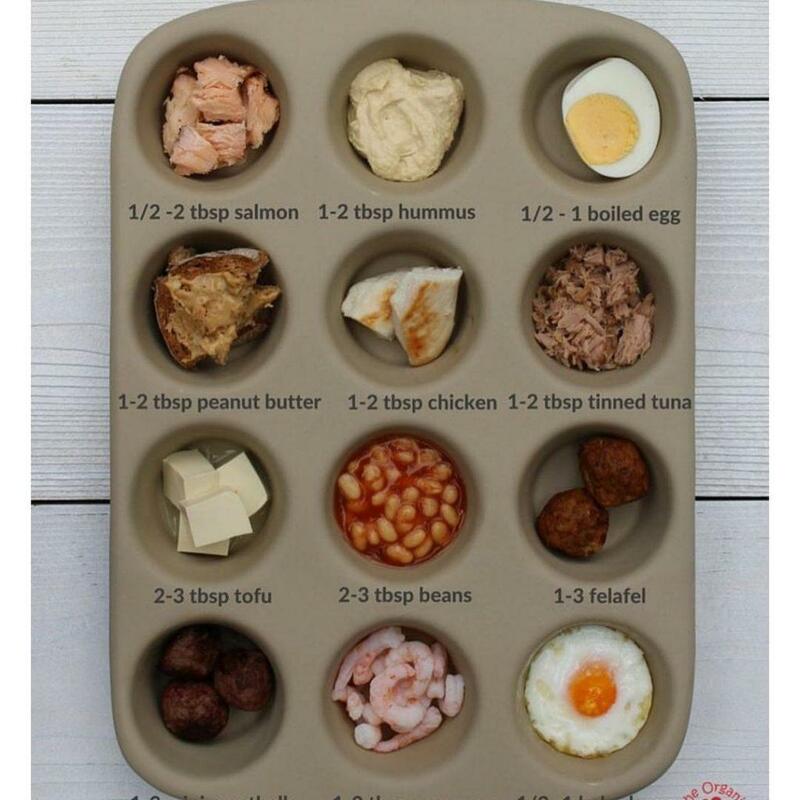 It gives you can easy visual when prepping toddler meals. We know picky toddlers can be a struggle. 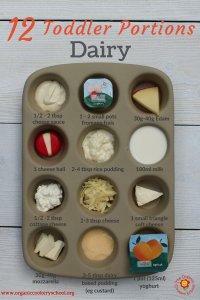 Need more toddler meal and snack ideas? Learn why toddler portion sizes are important and how easy it is to prep them for meal time! This is some great info for every parent. Previous articleIs My Child’s Eating Normal? What’s Normal for 12 – 18 Months Olds?